6. What Do I Use? There are two official Linux distributions for the Raspberry Pi which are Raspbian and Raspbian Lite. Rasbian is a full Linux distribution for the Raspberry Pi which uses Raspberry Pi Desktop (RPD) desktop environment. The desktop environment is the GUI (Graphical User Interface) of the operating system. Raspbian includes preinstalled applications for word processing, games, programming, and so on. This is great for beginners and people who just want to start using their Raspberry Pi immediately. But, some of us don't like that. We want the ability to work with a GUI, but with our own preferences. In other words, we want to start with a clean install, and then install whatever packages we need on top. Packages can consist of desktop environments, drivers, compilers, applications, utilities, and so on. As a reward, there would be more storage space, less usage on memory, and GUI customization! This is where Raspbian Lite comes into play. Raspbian Lite is similar to that of a core. A core basically contains all the essential packages needed to make the hardware on the Raspberry Pi work correctly. Raspbian Lite was made so that the Pi can run as a headless system where the Pi is controlled by commands sent from an external source. Raspbian Lite does not contain a GUI but has a command line interface (CLI) which is shown automatically if it is connected to an external display. 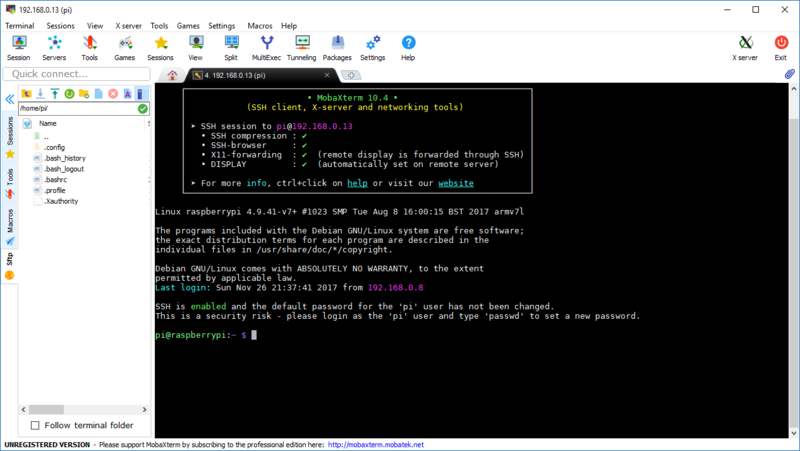 Configuration of Raspbian Lite can also be done via SSH (Secure Shell) from a computer connected to the same network as the Raspberry Pi. More information on SSH in the official Raspberry Pi documentation. If you have ever heard of Arch Linux, Raspbian Lite is similar to that. Since Raspbian Lite is supported by the Raspberry Pi Foundation, it is the preferred operating system for most Raspberry Pi microcomputers. 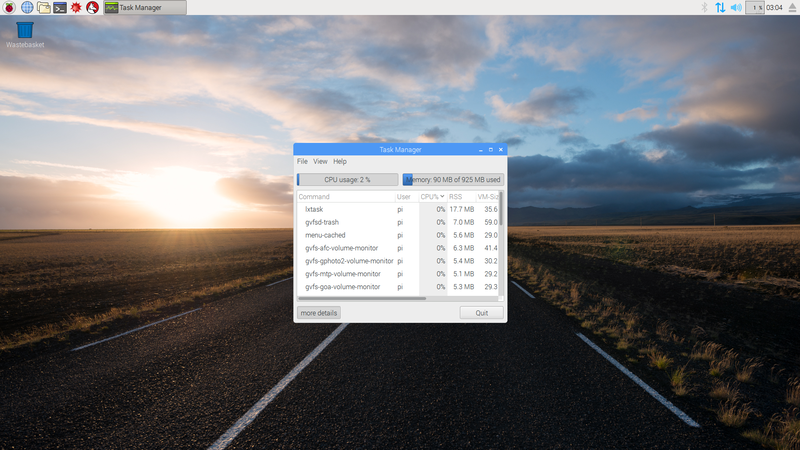 To summarize, this guide talks about how to run Raspbian Lite with a GUI, in this case you choose your desktop environment, RPD, LXDE, XFCE, or MATE. There is an advanced section in this guide that talks about how to create your own desktop environment if you are interested. The official Rasbian distribution uses RPD as its default desktop environment, but reality, it is actually a fork (or a branch) of LXDE. Other distributions such as Xubuntu uses XFCE as its default desktop environment, and Ubuntu MATE uses MATE as its default desktop environment. 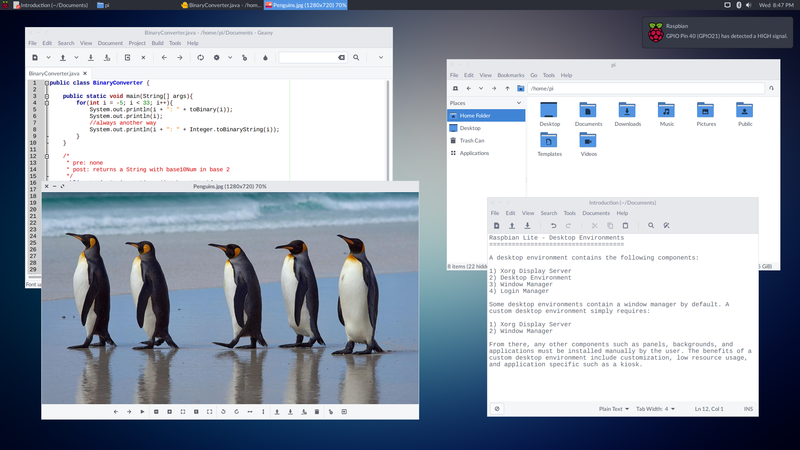 If you are not familiar with Linux desktop environments, be sure to watch videos or research on the types of GUIs available. That way, you will have and idea of what GUI to install, if any. For those that are really consciousness about memory usage, a desktop environment based on LXDE would be a recommended choice. 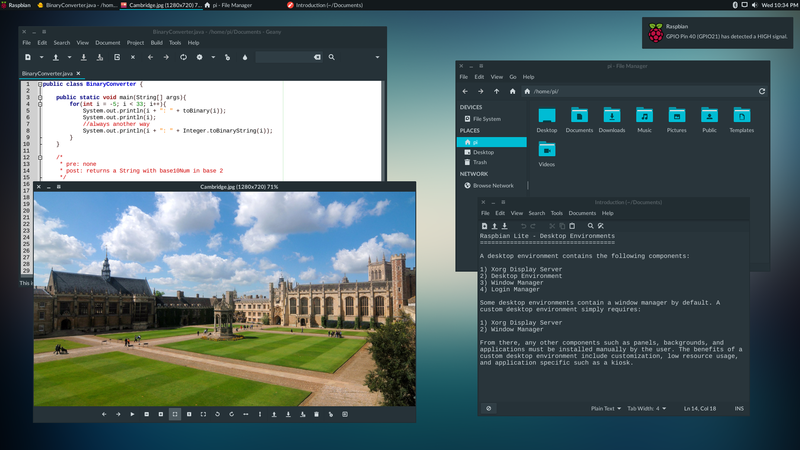 For those that prefer a prettier or modern look, then XFCE or MATE would be a recommended choice. However, both do the exact same job which is to make your Raspberry Pi a simple desktop computer that is easy to use. This is assuming that you want to use a prebuilt desktop environment. Otherwise you are free to create your own desktop environment. So why do this? Well, you decide how your desktop looks like, you decide what applications to install, and finally, you decide what do to next! Before beginning to install Raspbian Lite with a GUI, let's explore memory usage. In a nutshell, the less memory your Raspberry Pi consumes, the more applications it can run. Raspbian Lite itself consumes very little memory since it is a core. As discussed earlier, a core only has the essential packages that make the hardware on the Raspberry Pi work. NOTE: The memory used shown in the screenshots may be different than what your installation may actually use. Use this information as a reference to determine what desktop environment is right for you. 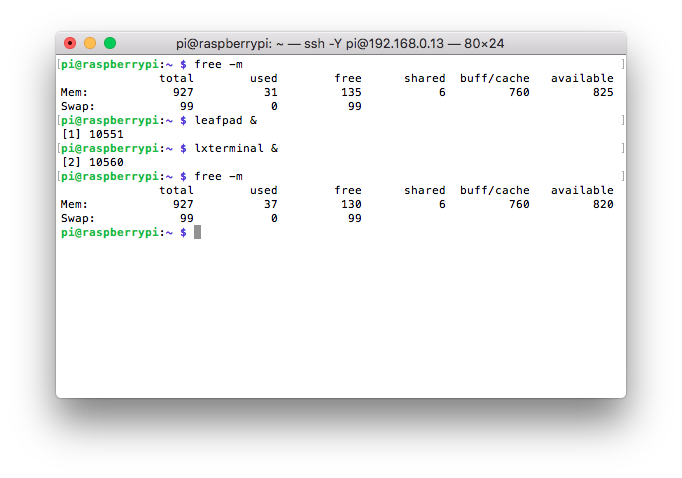 So how much memory does Raspbian Lite itself use? If we take a look at the screenshot, the memory is displayed in megabytes. This Raspberry Pi has 925MB of total memory. Some of the memory is internally allocated to the GPU by default. This means that the operating system and applications can use up to 925MB of memory. Currently, Raspbian Lite is using 30MB of memory. Very impressive. This means that the available memory to use is now 895MB. How does this compare to Raspbian with RPD? On a clean installation, Raspbian with RPD is using about 90MB of memory. That's pretty good. Now, let's see what the memory usage is with Raspbian Lite running various GUIs. Here we see that Raspbian Lite with RPD is using about 76MB of Memory. Here we see that Raspbian Lite with LXDE is using about 97MB of Memory. Here we see that Raspbian Lite with XFCE is using about 107MB of Memory. Here we see that Raspbian Lite with MATE is using about 101MB of Memory. Running a desktop environment with Raspbian Lite can consume quite a bit of memory. Now, we have to remember that Linux operating systems are flexible. Not every package required for a desktop environment is needed to be installed. This means that memory usage (as well as storage space) can be lowered even further, but you would have to be very familiar with how a package as well as its dependencies work. Not installing a required package or dependency may bring unwanted behavior. However, the good news is that it won't break your Raspberry Pi so long it is software related! In this part, we will focus on preparing Raspbian Lite. 3. Insert the SD / microSD card into the Pi. 4. Connect the Pi to the Internet. Ethernet would be the fastest way. Otherwise, if you have to use Wi-Fi, you will have to read on how to configure the Wi-Fi receiver using the command line after your Pi has finished booting. 5. Connect your TV / Monitor and keyboard. (Mouse is optional at this time.) Turn on the Pi. The Pi should boot up successfully and a prompt to log in will appear. 6. Log into Raspbian. The username is pi and the password is raspberry. 8. The Raspberry Pi Software Configuration Tool (raspi-config) main menu will appear. The option we are interested is option #7 (Advanced Options). Select that option using the arrow keys on your keyboard and press Enter. Then select option #A1 (Expand Filesystem) and press Enter. A message will appear saying that the boot partition has been resized. Select OK using arrow keys on your keyboard and press Enter. The main menu will reappear. Select Finish at the bottom of the menu and press Enter. A popup message will ask you to reboot your Raspberry Pi. Reboot the Pi. and press Enter. If there are any updates available, install them. The option we are interested is option #4 (Localization Options). Select that option and press Enter. You will be presented with 4 different options. Begin by selecting option #I1 (Change Locale) and press Enter. Find your locale by scrolling through the list using the up and down arrow keys on your keyboard. By default, en_GB.UTF-8 UTF8 will contain an asterisk, meaning that Raspbian Lite is using this locale. However, this may be incorrect if you live in another country, like the US. You can deselect this locale by highlighting it and pressing the Space bar on your keyboard. For example, if you live in the US, then the locale used should be en.US.UTF-8 UTF8. You would find this locale on the list and then press the Spacebar to select it. An asterisk will appear meaning that this locale will be used. Once you are ready, press Enter. A popup will appear asking you to select the default locale used for the entire system. Select the same locale you selected previously by highlighting it using the up and down arrow keys and then press Enter. Raspbian Lite will configure your system automatically and return to the main menu. and press Enter. This will reboot your Pi. 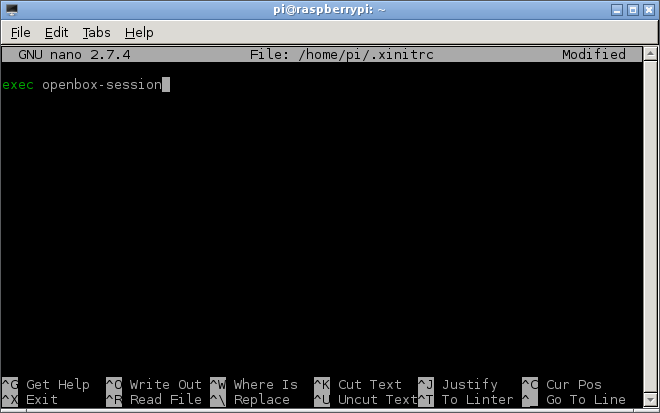 Now you can reopen raspi-config and you will no longer see that weird message. Don't ask me why that hasn't been fixed yet. Return to the Localization Options menu by selecting option #4 and press Enter. Now configure your timezone by selecting option #I2 (Change Timezone) and press Enter. Select your geological area using the arrow keys and press Enter. Select your region or city and press Enter. Raspbian Lite will configure your system automatically and return to the main menu. Return to the Localization Options menu by selecting option #4 and press Enter. Now configure your keyboard layout by selecting option #I3 (Change Keyboard Layout) and press Enter. Select your keyboard model using the arrow keys and press Enter (In a case where you don't know what keyboard model to select, the Generic 105-key (Intl) PC keyboard model would be good choice). Now, you will select the keyboard layout. Select the appropriate keyboard layout and press Enter (If you don't see your keyboard layout, select Other and press Enter. Select the keyboard language and press Enter. Now you will be presented with various keyboard layouts corresponding to your language. Select the appropriate layout and press Enter). The next few prompts may ask you about configuring the AltGr and Compose key. This is up for you to decide. Select the appropriate options and press Enter. You will then return to the main menu. If you are using a Raspberry Pi with built in Wi-Fi/Bluetooth receiver, you may want to change the Wi-Fi country settings. Return to the Internationalization Options menu by selecting option #4 and press Enter. Now configure your Wi-Fi country settings by selecting option #I4 (Change Wi-Fi Country) and press Enter. Select your country using the arrow keys and press Enter. A confirmation message will appear confirming your selection. Select OK. You will return to the main menu. 13. That's it! The foundation has been built! The Pi is ready to be used now, well obviously without the GUI. We have built the house but there's no furniture inside. For those that know about Linux, you may be wondering why the login manager chosen here is LightDM. For the most part, it is lightweight and it looks nice. But one feature that I believe stands out from other login managers is the ability to run Synergy client without errors. Synergy is a utility that allows you to use a computer's mouse and keyboard (Windows, Mac, or Linux) and share it with another computer, in this case, a Raspberry Pi. Of course you can install another login manager if you don't want LightDM. Some users may not want a login manager. This is perfectly fine depending on how you will use your Raspberry Pi. For example, we may want the Pi to boot into the command line always and if there is a need to launch a desktop environment, a simple command will let you launch it. Continue to read on for more information. Since we are focusing on Raspbian Lite, then the GUI installed will also be "lite". I understand that "lite" can have different meanings, but beginners are the main focus here. The important thing here is for users to personalize their Pi, without relying on prebuilt Raspbian. I believe these are the best GUI options. As always, you are free to use whatever you want. Moving forward, we will be installing the core of RPD, LXDE, XFCE, or MATE. This will give us only the GUI. 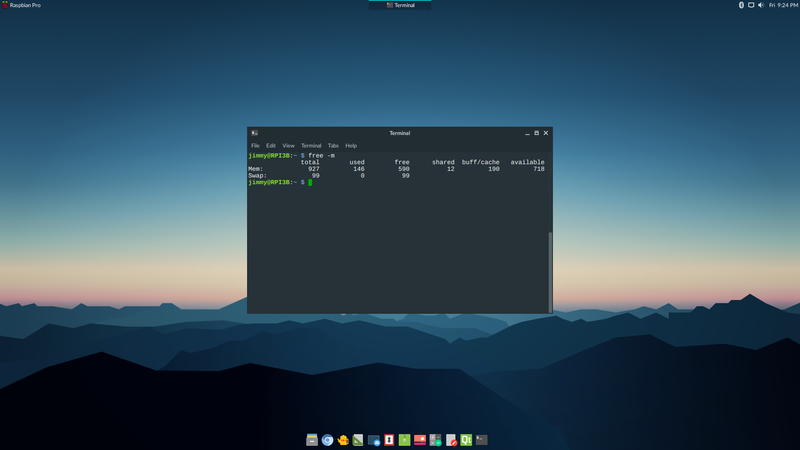 There won't be any applications installed other than the required PIXEL, LXDE, XFCE, or MATE components such as a file manager, terminal, and settings. and press Enter. There will be a lot of dependent packages to install but these must be installed for the GUI to work. Install the packages. and press Enter. There will be some more dependent packages to install but these must be installed so that you can have the ability to start the Xorg Display Server from the command line if no login manager is installed. Install the packages. 2 (RPD). Openbox Window Manager is installed by default when you install RPD. You do not need to do anything here. 2 (LXDE). Openbox Window Manager is actually installed by default when you install lxde-core. You do not need to do anything here. You can customize the look of the titlebar using the Openbox settings which is also installed by default. By using LXAppearance and Openbox settings together, you chose what LXDE looks like! Now, go to STEP 3. 2 (XFCE). XFWM Window Manager is actually installed by default when you install xfce4. You do not need to do anything here! 2 (MATE). Marco Window Manager is actually installed by default when you install MATE. You do not need to do anything here! If you choose not to install a login manager but you did install xinit earlier, then this means that everytime your Pi boots, you will always boot into the command line. However, the desktop environment is already set up for you and is ready to be launched at any time. 4. Everything we need to have Raspbian Lite with a GUI is ready! Fortunately, we don't have to do anything else but reboot! Reboot your Pi. When it finishes booting, you will see the LightDM login screen. From here, you will need use both a keyboard and a mouse. 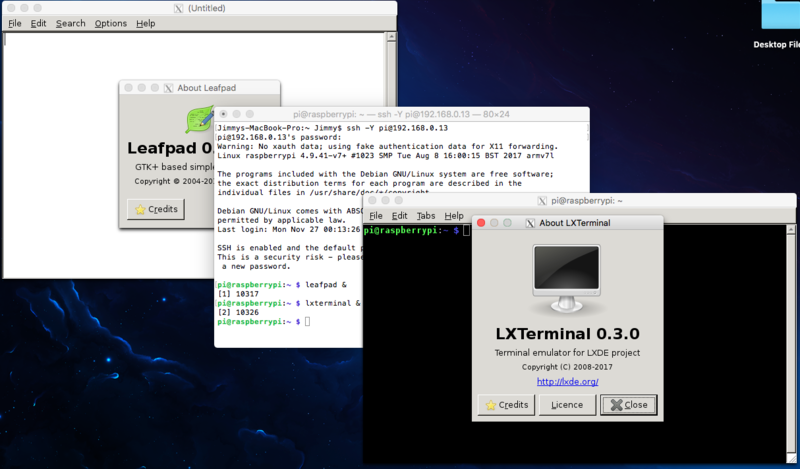 Log in and you should now see either RPD, LXDE, XFCE, or MATE desktop! and press Enter. 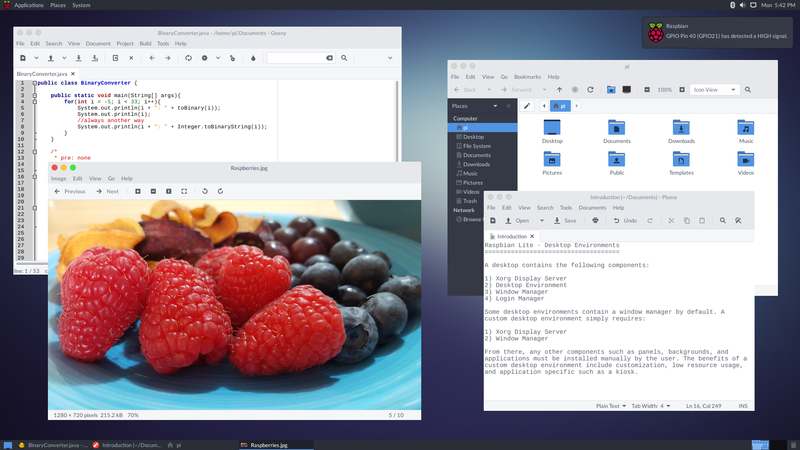 You should now see either RPD, LXDE, XFCE, or MATE desktop! From here, you will need use both a keyboard and a mouse. 5. So what now? This is where you decide what you want to do with your custom Rasbian Lite installation with a GUI. You can change the look, install applications, start programming, do what is necessary to make it work the way you want it to! NOTE: The screenshots shown below do not represent the desktop that you will see after installation. For more information, see the GUI Customization section. Be aware that using composition effects (transparency, shadows, etc.) may impact performance and memory usage depending on your configuration. Right Click > Open Image in New Tab to see full size image. Screenshot shown is a customized RPD desktop. A clean desktop showing HTop System Monitor. A desktop showing various windows opened. Right Click > Open Image in New Tab to see full size images. 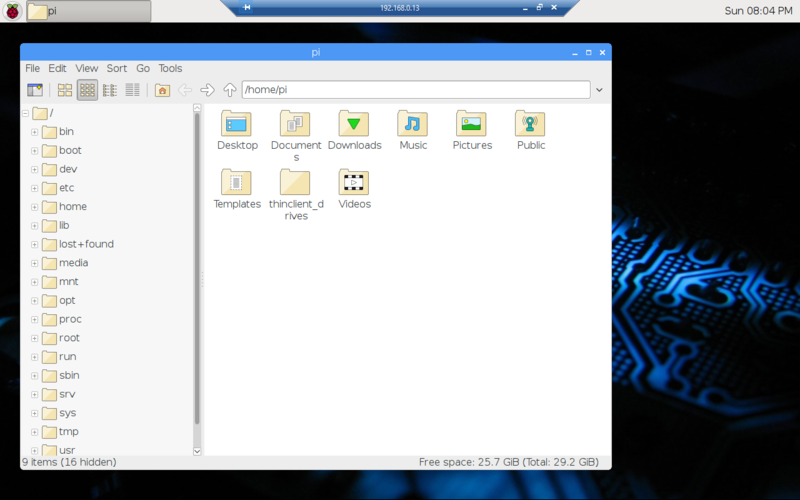 Screenshots shown are of a customized LXDE desktop. The memory used will vary depending on how you configure LXDE. A clean desktop showing Terminal. Right Click > Open Image in New Tab to see full size images. 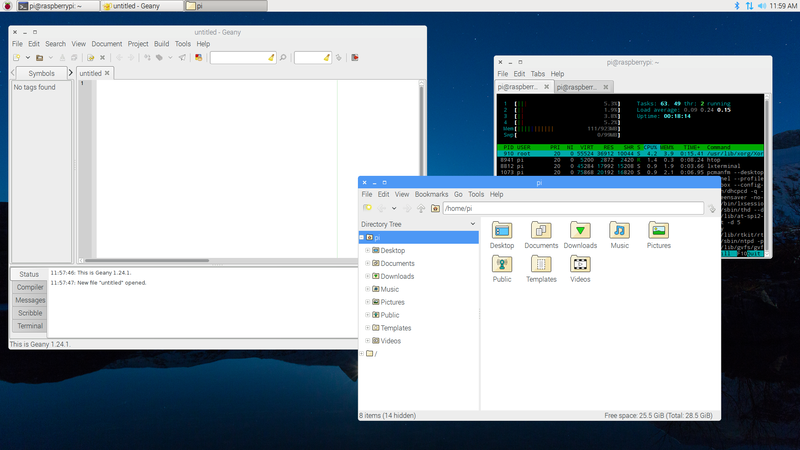 Screenshots shown are of a customized XFCE desktop. The memory used will vary depending on how you configure XFCE. A clean desktop showing Terminal. No composition effects enabled. A desktop showing various windows opened. No composition effects enabled. A clean desktop showing Terminal. Composition effects enabled. A desktop showing various windows opened. Composition effects enabled. Right Click > Open Image in New Tab to see full size images. 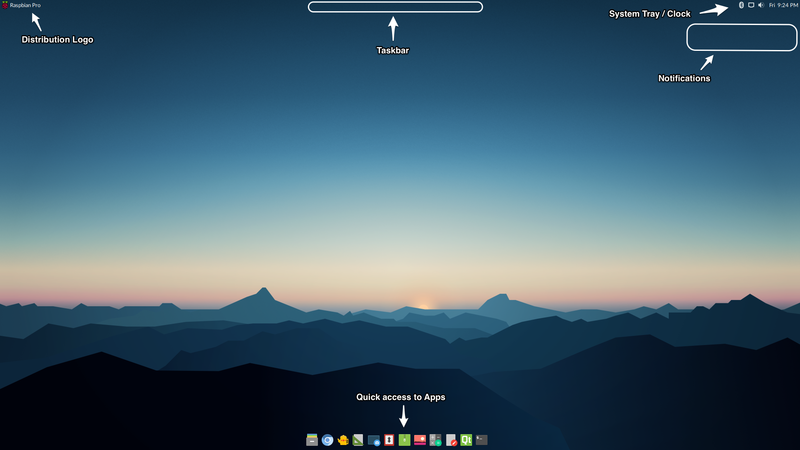 Screenshots shown are of a customized MATE desktop. The memory used will vary depending on how you configure MATE. And that's my brief tour of the desktop environment I use on Raspbian Lite! That's the reason why I wrote this guide. For you to learn how to become independent from regular Raspbian and personalize Raspbian Lite to your own liking. Personalization is of the greatest things about Linux in general. Installing a GUI on Raspbian Lite can either be easy or hard. If you want a particular desktop environment, you just follow the steps to install that environment. For the majority of Raspberry Pi users, that's more than enough. But what if we wanted to get our hands dirty? In other words, what if we want the desktop environment to be focused solely on a particular application. For example, the desktop environment should just be focused on a web browser, or it should just be focused on a music player. Is it really necessary for a file manager to be in an operating system that its primary focus is to display web pages? Is it really necessary for an operating system to be running blown desktop environment just to play music? This is where you explore ideas for what kind of GUI Raspian Lite should have. Can you explore GUI ideas directly on Raspbian Lite? Yes, but the idea of a virtual desktop is for you to explore those GUI ideas in the comfort of your own computer. It is basically a playground. You don't need to worry about reformatting SD / microSD cards, and you can go back in time using a feature called "snapshots" included in most virtual machine virtualizers in case if you made a mistake or you broke your installation. There is no risk. Not only that, but you also learn more about the inner workings of Linux. X11 Forwarding is an SSH remote tunneling system where you can run applications installed on a Linux system remotely from another system running Windows, macOS, or Linux. For example, let's say that you have a clean Raspbian Lite installation on your Raspberry Pi. Now, if you physically want use your Raspberry Pi like a normal computer (with monitor, keyboard, mouse), then most likely you want to install a GUI on Raspbian Lite. However, if you only care about running specific applications on Rasbian Lite and don't have a need to use it as a normal computer (no monitor/keyboard/mouse/GUI), then X11 Forwarding may be something you'd like to use. Here's how it works. You would connect to your Raspberry Pi via SSH with X11 Forwarding option enabled from another system. When it is connected, if you type in an application name, lets say "leafpad" and press Enter, the application will open on your desktop. That's it! So in other words, your system will show you the application's GUI while the Raspberry Pi handles the workload for that application. Pretty neat right? 1. Follow the steps on Part 1 - Build the Foundation to have a clean installation of Raspbian Lite. If you already installed a desktop environment and still want to enable X11 Forwarding, continue to step 2.
and press Enter. Select option #5 (Interfacing Options) and press Enter. Then select option #P2 (SSH) and press Enter. You will be asked if you want to enable the SSH server. Select "Yes" and press enter. A popup will open saying the SSH server has been enabled. Select "Ok" and you will be returned to the main menu. Select Finish and press Enter to exit raspi-config. and press Enter. Take note of that IP address since you need it to connect to the Raspberry Pi via SSH. 5. 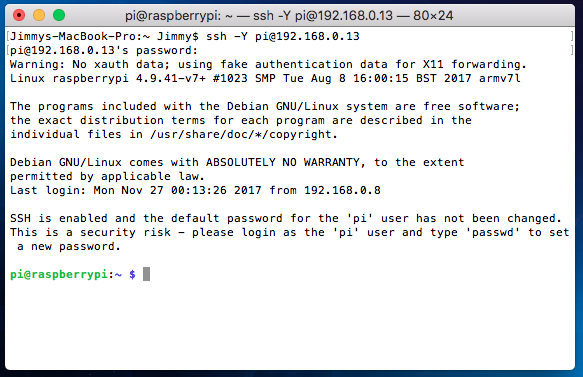 Once the Raspberry Pi has been rebooted, you no longer need to physically use the Raspberry Pi since you can now remotely log onto the Raspberry Pi via SSH. 6 (Windows). You will need to install an SSH client with X11 Forwarding capabilities on the computer you wish to run the Raspberry Pi applications on. In order for the applications to appear on the computer, you also need to install Xorg Server on the computer as well. 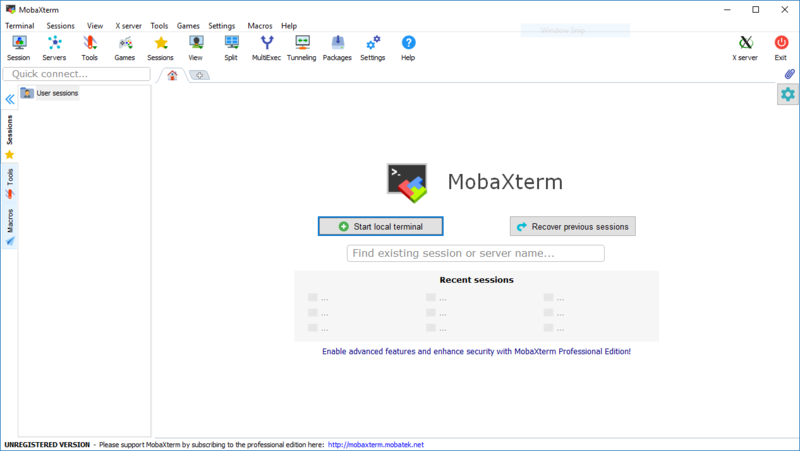 For Windows, there is an application called MobaXterm which is free and it is an SSH client that integrates Xorg Server. No need to install Xorg Server separately. Create a session by clicking on the "Session" icon on the toolbar. Enter the IP address of the Raspberry Pi as well as the Raspberry Pi username. Make sure that X11 Forwarding is enabled by click on the Advanced SSH Settings tab. When ready, click OK. You will be asked to enter the password. and press Enter. The "&" symbol allows you to continue to use the MobaXterm window and open multiple Raspberry Pi applications without freezing it. where "username" is your Raspberry Pi username and "raspberrypiadrress" is your Raspberry Pi's IP address. Then press Enter. You may be asked if you are sure if you want to connect to the host. Type in "yes". Enter the Raspberry Pi password when asked. For those wondering about memory usage, the memory used on Raspbian Lite is only the application as well as essential processes. The usage is very small. No Xorg, no desktop environment, no login manager memory consumption. More memory, more storage space! If you are a Windows user, you may be interested in accessing your Raspberry Pi desktop remotely without having to connect your Raspberry Pi to a TV or monitor to use it. This is where the Remote Desktop Protocol (RDP) comes into play. 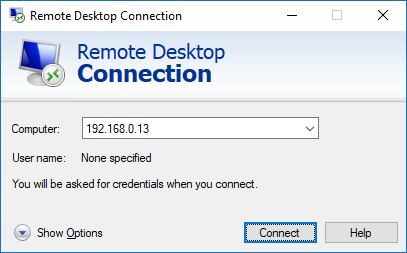 With this protocol, you will be able to use the built-in Remote Desktop Connection application on Windows to access your Raspberry Pi desktop remotely. 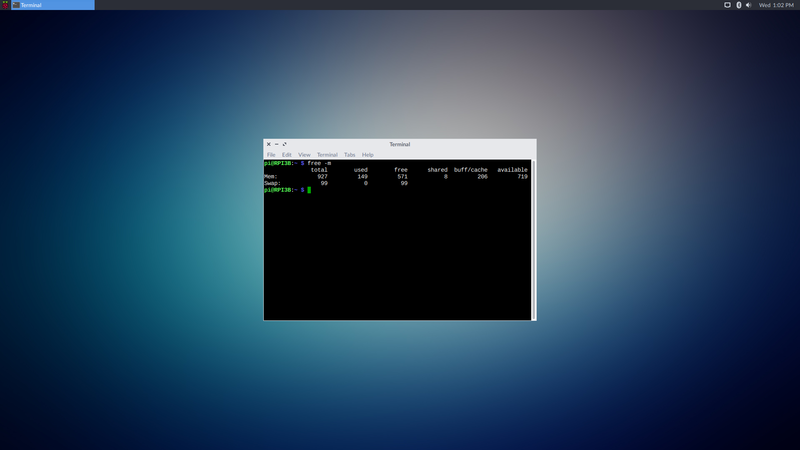 Assuming that your Raspberry Pi is running Raspbian Lite with a desktop environment and has no installation of VNC Server or TightVNC Server, the installation and configuration should be very easy. 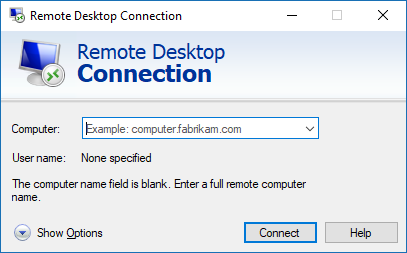 Once XRDP has been installed, it will run automatically in the background and will transmit the Raspberry Pi desktop whenever Remote Desktop Connection on Windows connects to your Raspberry Pi. 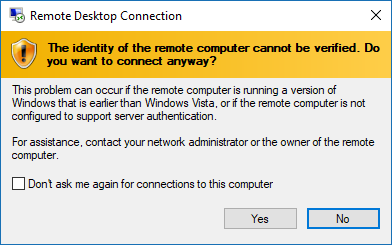 Now, run Remote Desktop Connection on Windows. On the Computer textfield, enter the Raspberry Pi IP address and then press Connect. You may get a warning saying that the computer you are connecting to cannot be verified. Just click on Yes. Now you will be presented with the XRDP login window. Enter your Raspberry Pi's username and password and press OK.
And that's it! You can now remotely use the Raspberry Pi desktop on Windows! Let's get serious now. The real reason to use Raspbian Lite is to make the Raspberry Pi microcomputer work for a specific application purpose. The operating system should be customized to that specific application. What kind of applications? 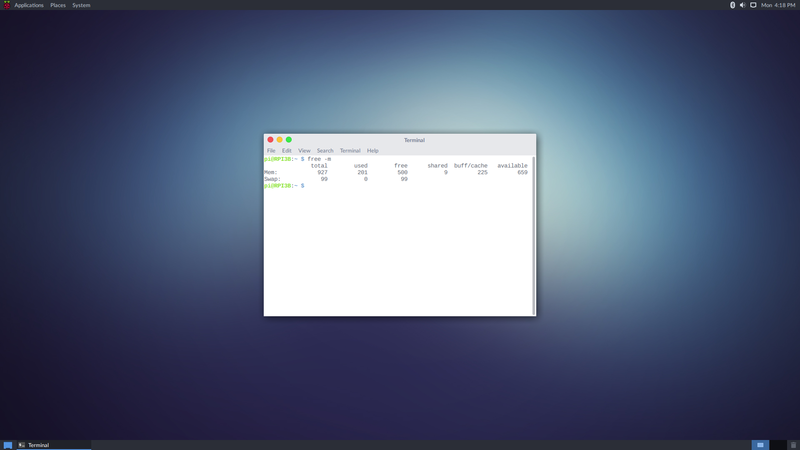 Openbox is a window manager that can run as a standalone desktop environment, or with another desktop environment. Window managers normally handle application windows as well as their window decorations and effects. If you run Openbox as a standale desktop environment, you would have control over how your desktop environment looks. Openbox does not have any panels, desktop icons, wallpapers, or other UI elements since that is not the job of Openbox. You would have to provide that yourself. There are some benefits of going this route. The main benefit is resource usage. Since you would only have Openbox running, most of the memory used will be used for applications that you run. The second benefit is simplicity. There are many users who only want to run a single application and don't need a full desktop environment. Third benefit is customization. You can build your own desktop environment and use Openbox as its window manager. If you think Openbox window manager sounds like something you want to use on Raspbian Lite, let's continue! However, if you plan on starting Openbox manually, then you need to do some more work. 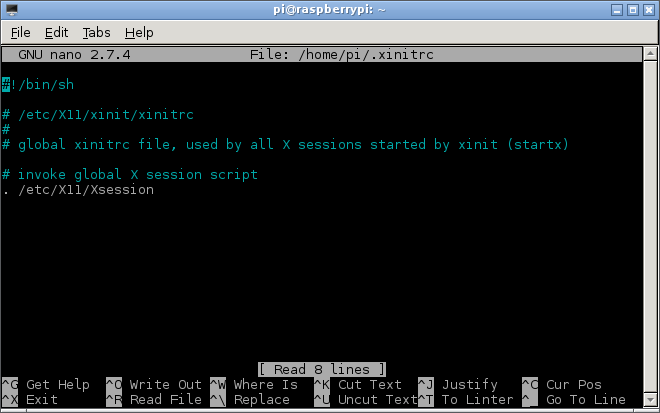 First, we need to generate an .xinitrc file. This file will have all the commands to start your custom desktop environment. For this case, we only need to implement the Openbox command to the file. 4) Now, restart your Raspberry Pi. For those that installed LightDM login manager, you should see LightDM appear. Login with your username and password and you should now see the Openbox desktop! Well actually, you would see nothing. If you right-click, you will see the Openbox menu. and press Enter. Similarly, you should see nothing but a blank screen. If you right-click, you will see the Openbox menu. That's it! After this, you decide what to do next with Openbox! For those wondering about memory usage, Openbox uses very little memory. As you can see, it's very lightweight! If you have used the regular Rasbian distribution, you probably noticed that there was a tool for configuring the Raspberry Pi. No problem, you can bring it back in Raspbian Lite. and press Enter. Install the necessary packages. You may have to reboot your Raspberry Pi to see the configuration tool in your Applications menu or Preferences menu. Hope you found this guide useful! If there are any questions, comments, suggestions, or concerns, you are free to say down below. Last edited by GhostRaider on Mon Jan 14, 2019 2:53 am, edited 220 times in total. in a magnificent instance of synchronicity, you have posted this brilliant guide at just the moment that I went looking for it! This worked wonderfully for me on Jessie Lite; it has saved a huge amount of space on my SD card, and was faster than deleting packages from the standard Jessie distro. the Apple Pi-Baker I don't need the sd format program any longer since that process is included..
Great guide! I was worried not to fit my 4G SD card but there are almost 1G left after this GUI installation. The only package I left out is lxappearance. MillmoorRon wrote: I followed all the instructions above but my desktop is very messy and badly displayed. When you install LXDE for the first time, the first boot will show a "default" desktop look. Why doesn't it look pretty by default is unknown but we have the tools to customize it. The window border theme (with the titlebar, close min max buttons) can be customized using OpenBox settings. This is installed by default and can be found in the applications menu. LXAppearance is an application that allows you to change the icons, toolbar icons, toolbar theme, progress bar, cursors, and so on when using the LXDE desktop interface. This is not installed by default which was mentioned in the guide. If you have it installed then you also find it in the applications menu. I guess to start I would create a new blank panel and then delete the pre-existing ones. Then customize it. I mean all of this is up to you. You decide the look that you want. What exact theme does Raspbian use I'm not sure. But there are other themes out there that look better anyways. Many thanks for the guide. Equally fortuitous here as my last Pi was an original in 2012 and got my Pi3 this morning so was a really handy refresher back to Debian (my normal poison is OpenSuse). I just updated this guide to include XFCE. I just though maybe some users would want this. Thanks guys for the feedback. 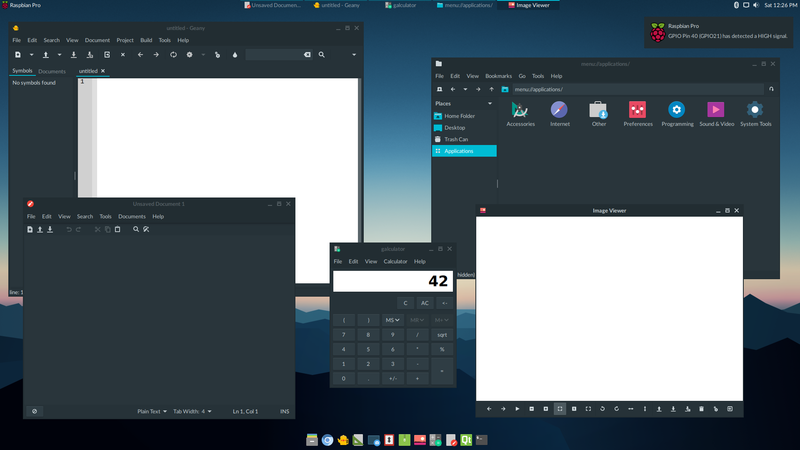 I kind of have to admit that XFCE looks better out of the box than LXDE. But both can look great as long as you have the time to customize it. I just installed Jessie Lite and LXDE following this guide, works perfectly. One question though: how do I start the GUI when I boot to the command line? I tried "startx", but that returns "-bash: startx: command not found". So I'm assuming you did not install LightDM correct? Normally when the login manager is installed after LXDE or XFCE, it displays the login screen when Pi boots. Or are you intentionally wanting to boot to command line and then start the display server whenever you want? Okay, i see. Originally I had mentioned to install xinit in the guide but the problem was that it did install extras that probably people wouldn't have used anyways. The consequence was that the ability to launch x-server from command line wasn't available which i was not aware of. Thank you for sharing this info. Great guide although I am surprised as this is 'lite' the author chose xfce / lxde over say something like i3 or one of the 'boxes' - anyway this gets me something akin to Arch with less bother - setting up wifi from cli was a cinch and everything else [so far] has been dead easy to setup! Top job! If you don't know what you want, you end up with a lot you don't! I followed your guide and everything worked out but I ran into an additional issue. The network manager and Bluetooth manager were not visible. Sure i could do it via command line but i wanted a GUI in XFCE if at all possible. So i went ahead and took a full version of raspbian and attempted to install XFCE on it. I figured out how to install network-manager-gnome and that solved the network part but for the life of me bluetooth is not cooperating. I installed blueman but while it works for my mouse (with some difficulty) it will not connect to my keyboard. Switching back to LXDE, the Bluetooth applet that is part of LXDE panel works perfectly and quickly. I even tested it side by side in LXDE since i still had blueman installed ... works on the built in panel applet doesn't work on blueman. Does anyone have ideas or suggestions on how they got Bluetooth to work on these light installs on XFCE? Have you fixed your Bluetooth problem? I haven't found a need to use Bluetooth but I might investigate on both cases if necessary. Been busy is all. 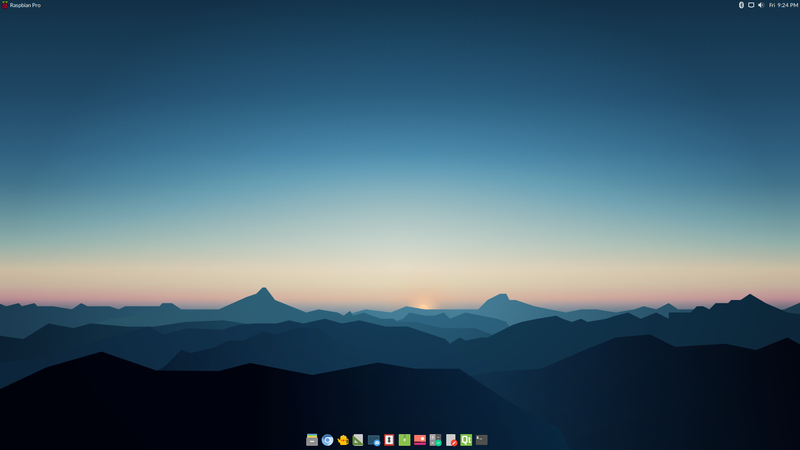 A great follow up article would be the steps required to do the desktop customizations? i.e. what did you do to get that look? GTK Themes, LXDE Themes, Wallpaper etc? I don't understand why I should use this Raspian Lite + extra GUI instead fo using Raspina, as this article says that Raspian is using 93MB while the least consuming Lite + extra GUI is using 97MB. Well 93 < 97, so if I 'm not concerned about disk storage, full blown Raspian is the best choise, Right? If you have an SDCard that's larger than 8GB (or a RPi3 set up to boot from an 8GB (or larger) USB stick or a USB HD) then you can freely choose whether to use Raspbian or Raspbian Lite. If you're plannng to use the GUI installing Raspbian Lite then adding the GUI stuff afterwards seems like a pointless waste of time to me. It really depends on what the Raspberry Pi will be used for. If you just want the Raspberry Pi to just work, then it's pretty obvious that using Raspbian is the way to go. But if you have time and you like to personalize it a bit more, or you just want to tinker with the operating system, then Raspian Lite would be a better choice. If you're going to look at this from an educational perspective, its not a waste of time. You learn how Linux works. You get to learn about creating sessions, configuring xorg, services, packages. If I have to say my opinion, I didn't like the look of Raspbian. I didn't like having useless applications installed, I didn't like the overall look. From using Windows and OS X for years, Raspbian looked boring. As for memory, you can always turn off services you don't need. That's what uses memory in the background most of the time. 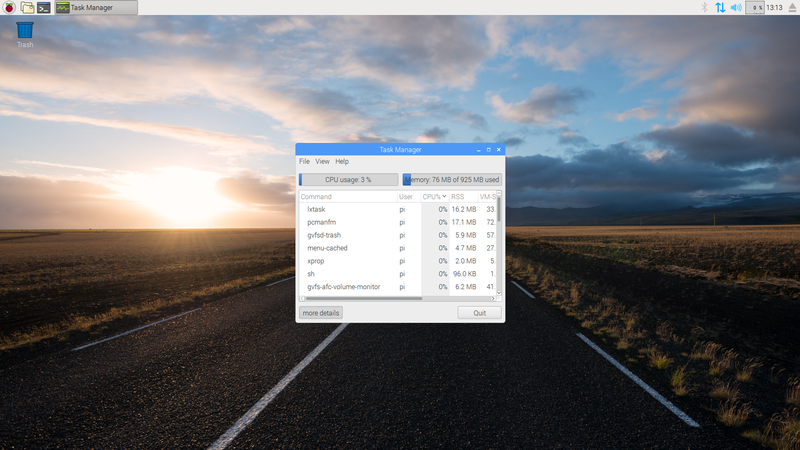 If you want to take it a step further, then having a tiling window manager will use less memory. Then if you want to take it another step forward, then Arch Linux would be a better choice since you can pretty much customize every aspect of it. MANY-MANY THANKS for this great, long, heavy post!